Written & Directed by Greensboro NC's - Phil Blattenberger. 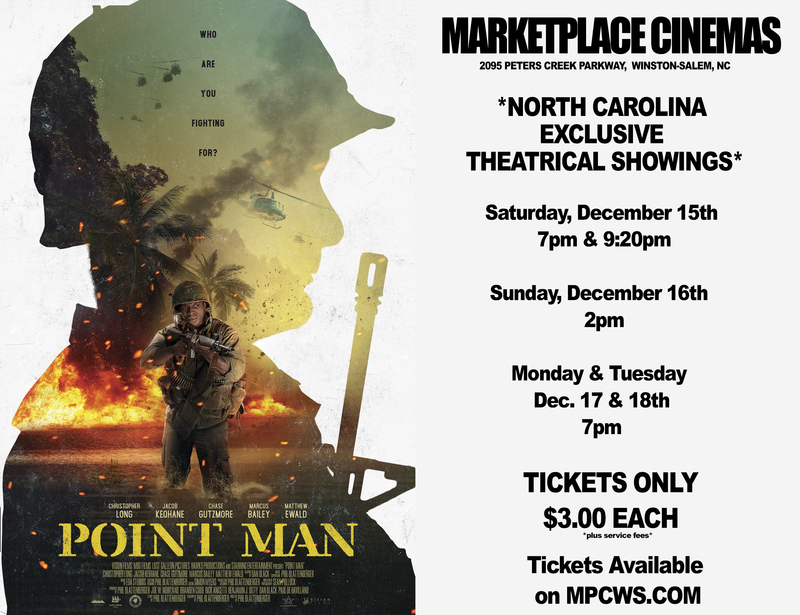 Point Man was shot and filmed in Greensboro - North Carolina, Atlanta - Georgia, and on location in Vietnam & Combodia. Tickets are $3.00 each - plus $1 for online service fee and processing charge from square.